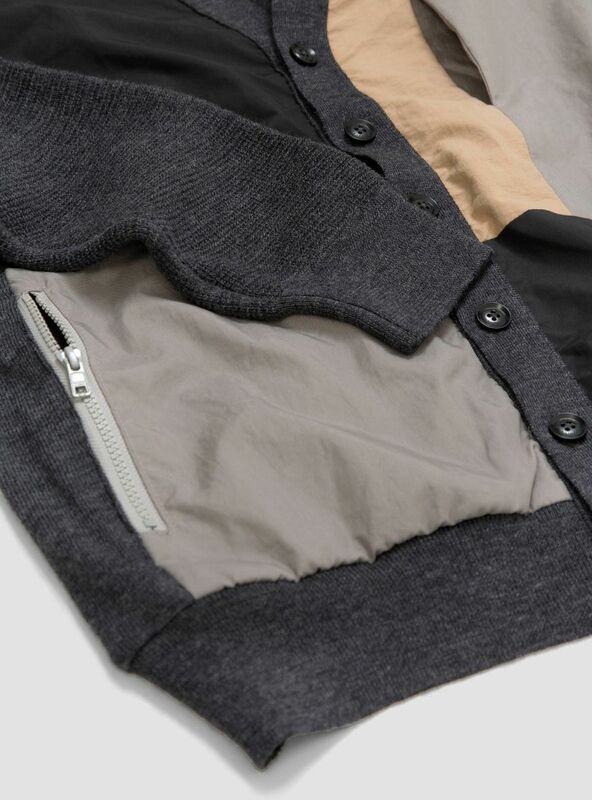 Cardigans don’t get a lot of play right now. As an outer layer they can work. But sandwiched between a shirt and a chore jacket or blazer, they frequently look a bit like a waistcoat, a bit la-di-da. It’s the wrong kind of dressed up. You can easily end up looking like a beater on a grouse shoot. 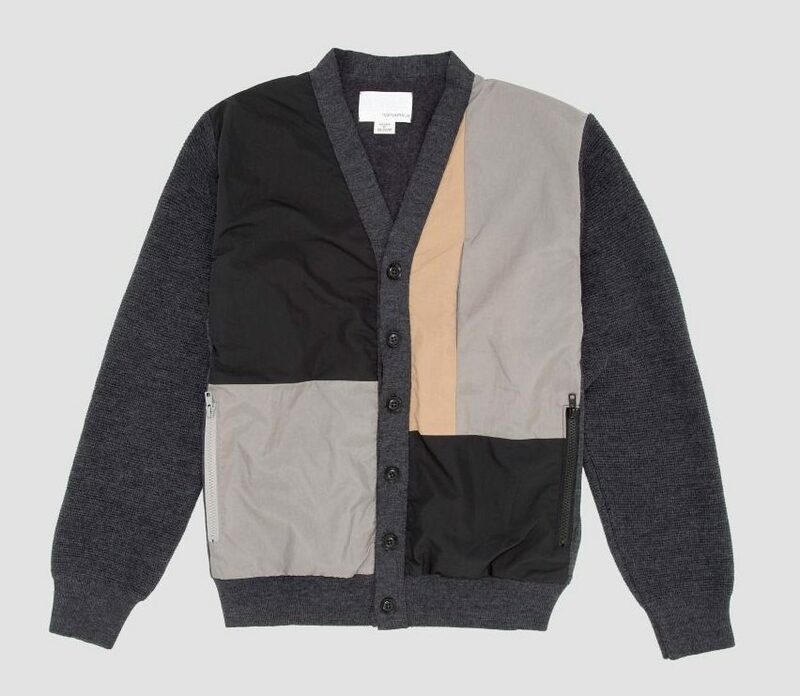 Sidestepping tweedy bumpkinery, this attempt from Nanamica instead embraces Thermolite wool and artful nylon patchwork. To my mind, it successfully wrests the cardigan from the poachers palms and into something approaching a Rick Deckard cyberzone. Getting straight to the point, I’d wear it larger, looser than the dude above, more like a jacket. 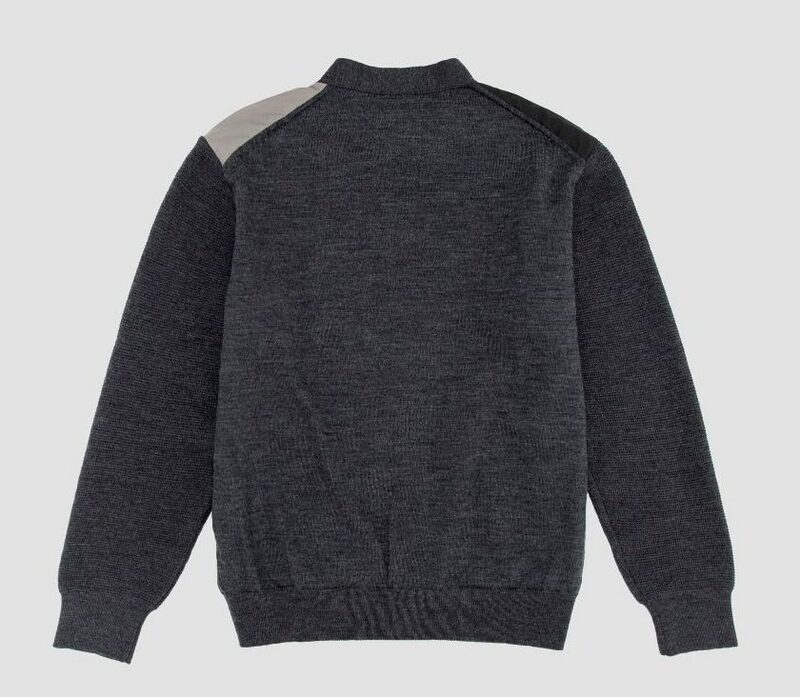 But with those zip pockets it’d function as ideal outerwear on a temperate day. 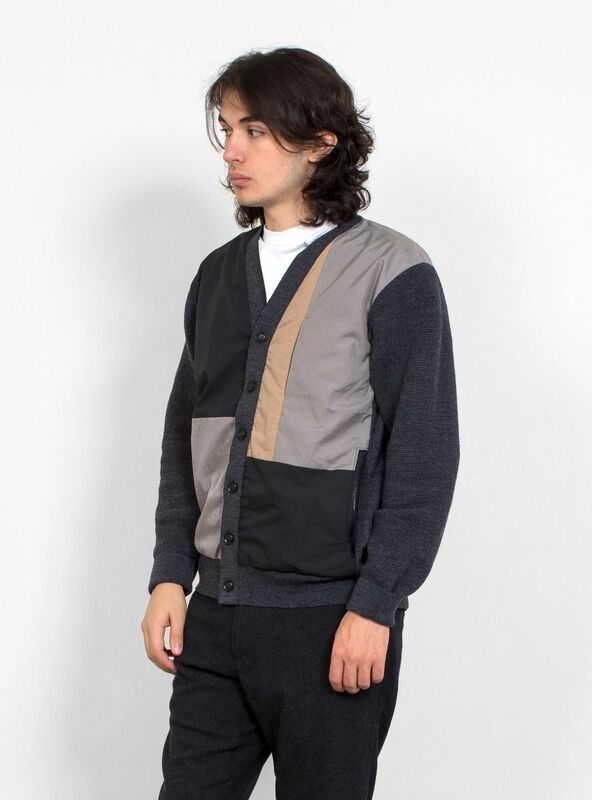 With all that geometric business going on, you’d probably look like an architect. I’m being quite literal, but you know, architects are supposed to give it all the roll-necked minimalism aren’t they? Snapped in black and white, looking sternly into middle distance, standing next to a cactus, holding a T-square. That could be you that. Nice piece this. It’s be interesting to see if it’d work in a mix with more crumpled, artesian finishes (your EGs, your Kapitals) or whether it demands crisper, less organic textures. But either way it’d be nice to be an architect. At least for a day. Then I could actually afford to buy this.